The sanctuary is the best place to observe nature in her pious form. Papikonda Wildlife Sanctuary covers 591square kilometers and is established in the years 1978. The sanctuary gives the wildlife to regenerate and develop. Papikonda Wildlife Sanctuary is located50 kms away from Rajamundry in the district of Khammam. The sanctuary represents the tropical forest on the eastern ghats of the India. Papikonda Wildlife Sanctuary is not only the homeland of the animals but a wide variety of plants and shrubs grow and that make the vegetation of the place rich and vibrant. Trees like Tectona grandis, Tominalias, Tomentosa, Lagerstroemis Lanceolata, Albizzia and others can be easily locate in this wildlife sanctuary. The undulating hills are the home ground of various wild cats like Tiger, Leopard. 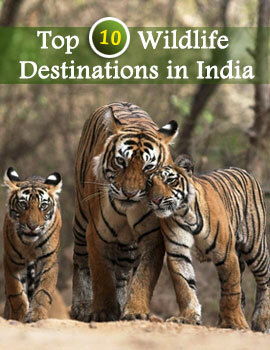 Apart from that, tourists can locate Spotted Deer, Antelopes, Sambar, Hyena, Sloth Bear, Muggers and Gharials. The ponds and the low lying water body’s fills with migratory birds and the ambience gets back its vivacity. Hills named Rekapalle in Khammam district make a wonderful backdrop for the beasts in the sanctuary. This forest bears a mythological background as this forest was regarded as the kingdom of apes in Ramayana. The place was popularly named as Kishkindha. The forest hosts environmental education center and Museum. The enthralling safari to the sanctuary and the river trip on river Godavari make a memorable trip to wildlife area. Best time to visit Papikonda wildlife sanctuary is from the month of November to June. Rajamundry is the nearest rail head. Tourist can reach the sanctuary by road route as it is 50 kms away from Rajamundry. The local jeeps, buses or rented car are the options that take the tourists to the destined stop. 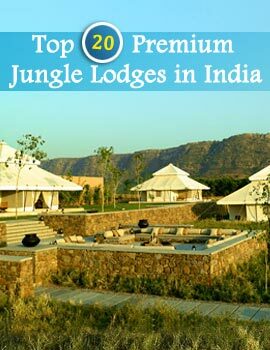 Forest rest house at Rajamundry is the nearest accommodation facility near the forest area. Other tourist destinations like Maredumilli and Kannapuram have few guest houses that provide the overnight stay facilities to the visitors.